Westchester residents have a special reason to tune in to the Golden Globes ceremony in January. One of 2017’s most celebrated films was shot right here in Westchester County, New York. Twentieth Century Fox and Amblin Entertainment’s “The Post,” a feature film chronicling the battle between journalists and the U.S. government over publishing the Pentagon Papers, racked up six nominations this year, including “Best Actor” for star Tom Hanks, “Best Actress” for lead Meryl Streep, and “Best Director” for Steven Spielberg. In addition, the film received nominations for “Original Score” and “Best Screenplay.” The Pentagon Papers detailed the trajectory of America’s involvement in the Vietnam War. “The Post” features a mix of Westchester locations, including the SUNY Purchase campus and the City of White Plains. “The Post” was recently screened in Westchester County at the Jacob Burns Film Center on Sunday, Dec. 10. 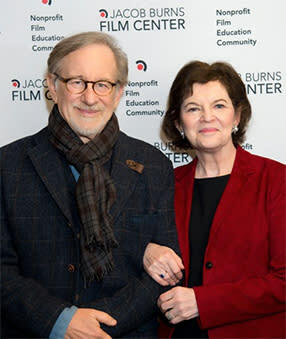 After the preview, Steven Spielberg participated in a Q&A with the JBFC Board President—and his longtime friend—Janet Maslin. Spielberg is also a JBFC board member. This year’s nominees also include two critically acclaimed limited series that were shot in Westchester: “The Sinner” (USA), and “Mr. Robot” (USA). “The Sinner” was nominated for “Best Limited Series or Motion Picture Made for Television,” and its star, Jessica Biel, received a “Best Actress” nod. Christian Slater of “Mr. Robot” received a “Best Supporting Actor” nomination. Westchester has become a sought after location for filming due to its close proximity to New York City and easy access by air, car, rail or bus; and a deep talent pool of location scouts, crew, and post- production facilities. Many films and episodic television shows shot in Westchester have received Golden Globe, Emmy, and Oscar nominations across a range of categories over the years. Westchester’s film activity continues to grow each year. 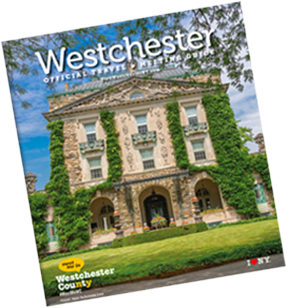 According to a recent economic impact survey conducted by the Westchester County Tourism & Film office, the film and TV industry added more than $30 million to the Westchester County economy in 2016—a 67 percent increase since 2014.